In Santa Fe, New Mexico, Quotarians have been preparing care packages for homeless youth every winter for more than a decade. The essence of winter and the holidays is warmth – warm hugs from the family, a warm fireplace, warm feelings of comfort. For youth who are homeless, this warmth is difficult to come by. 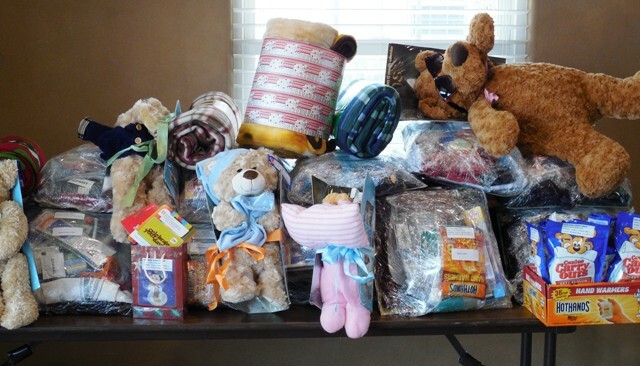 Quotarians in Santa Fe, New Mexico have hand-wrapped special packages filled with jackets, socks, blankets, toiletries, soaps, and more to be given to youth at Street Outreach, a youth shelter. Thank you Quotarians for bringing warm smiles to children.